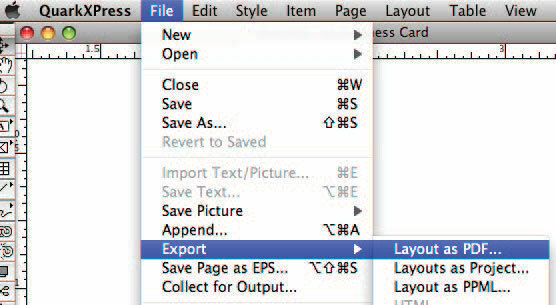 Set the Layout Type to Print. 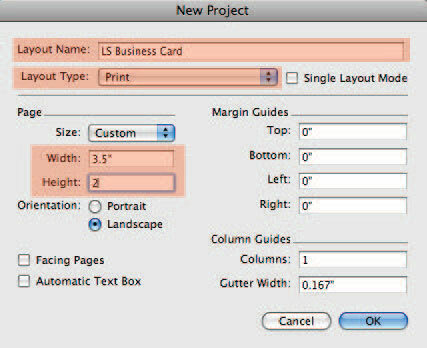 Set the Width & Height of your artwork to the final size of the product you are creating. 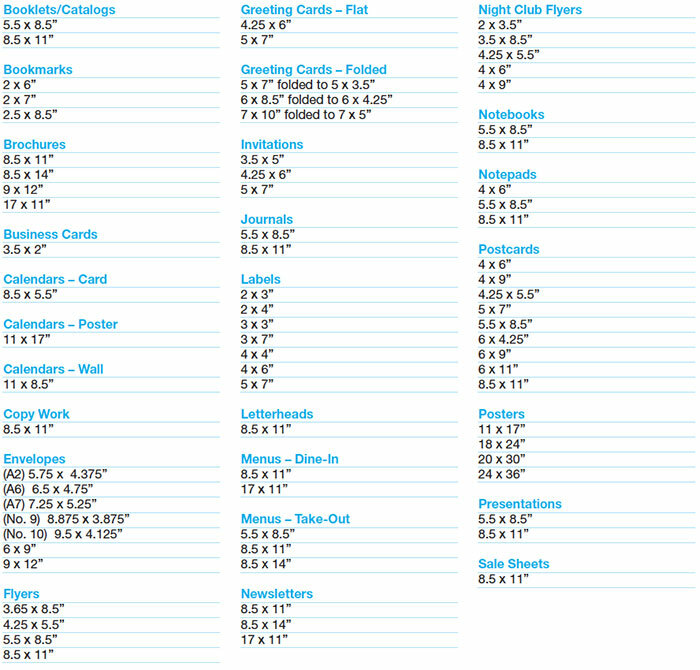 You can refer to this table for a quick list of product dimensions. 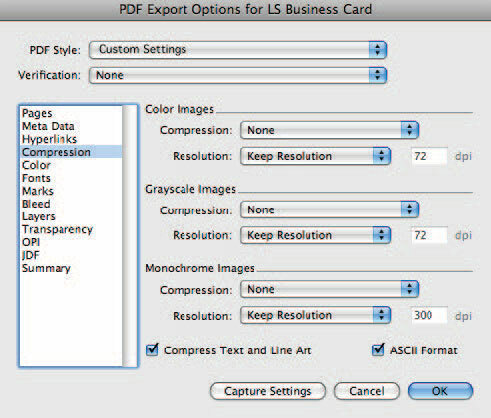 Under Compression (Figure 5), select None and Keep Resolution for all three image types. Check the Compress Text and Line Art and ASCII Format checkboxes. Under Color (Figure 6), select Mode: Separations and Setup: In-RIP Separations. Note: If you have placed a custom order using spot colors, then you can leave those specified colors remaining. Otherwise, the only colors listed should be Cyan, Magenta, Yellow and Black. 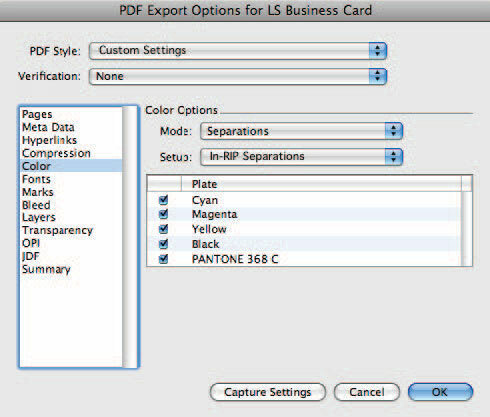 If you have not placed a custom spot color order, you will need to convert any spot colors used in the document to 4 color process before you create your PDF. Under Marks (Figure 7), select Mode: Centered and Offset: 6 pt. 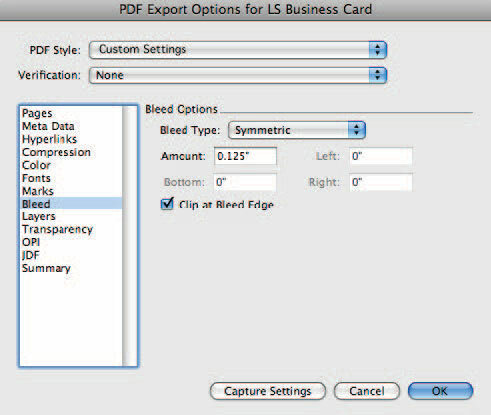 Under Bleed (Figure 8), set Type to Symmetric and set Amount to 0.125"
Under OPI (Figure 9), Uncheck the OPI Active checkbox. 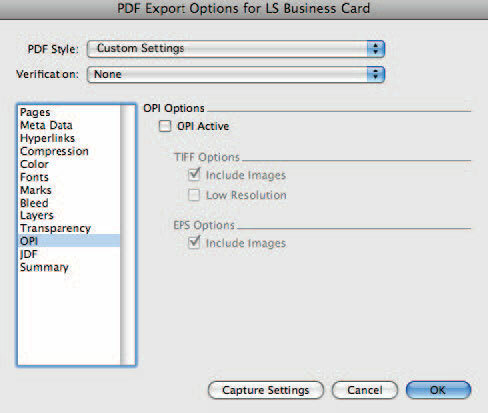 When you’ve confirmed all the above settings, click the OK button to return to the PDF Export window. 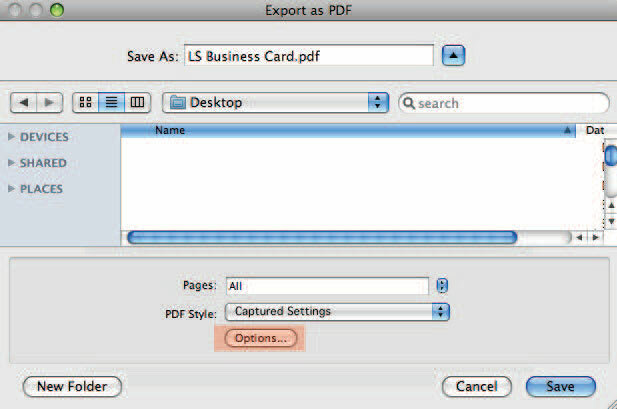 From the PDF export window, click the Save button and your PDF will then be saved. 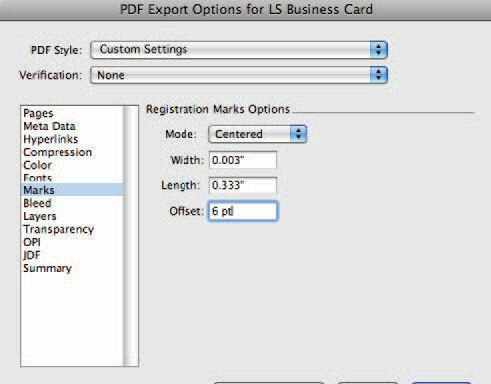 We recommend you open your PDF and check that it was created correctly before submitting to Lickity Split.